This basket is made of heavy wire and is welded at every joint. Each wire is coated with plastic to reduce breakage. 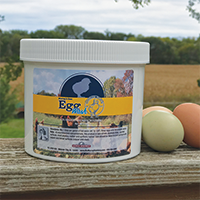 The design of the basket allows your eggs to cool properly while in the basket. Handy for many uses. 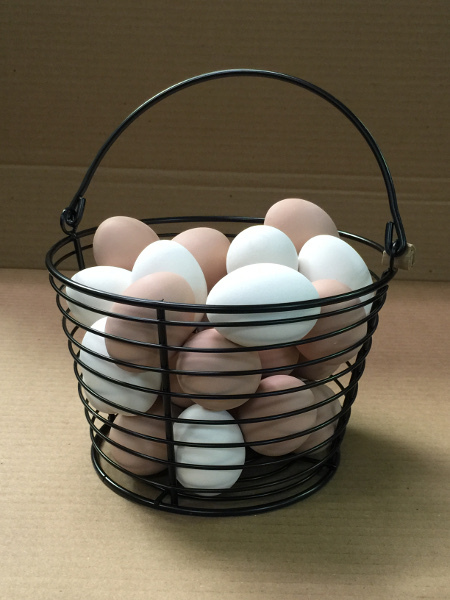 The small baskket holds 2 dozen large eggs and the medium baskets hold 5 dozen. The new style black baskets will not fit the Incredible Egg Washer. The replacement basket for the Egg Washer is 5EWB. The wire egg baskets are made in China. May I buy just one or two baskets? Yes, there is no minimum required to order the baskets. What are the dimensions on the medium egg basket? The medium wire egg basket (sku# 5BAS) measures 13"x 9 3/4"x 7" high. What are the dimensions on the large egg basket? 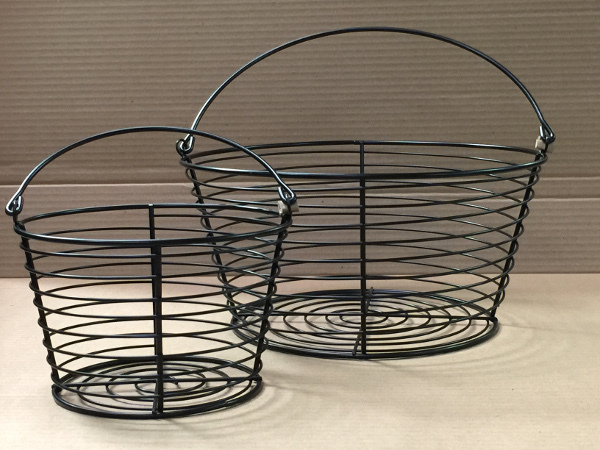 The large wire egg basket (sku #5BEB) measures 14"x 14"x 10" high.